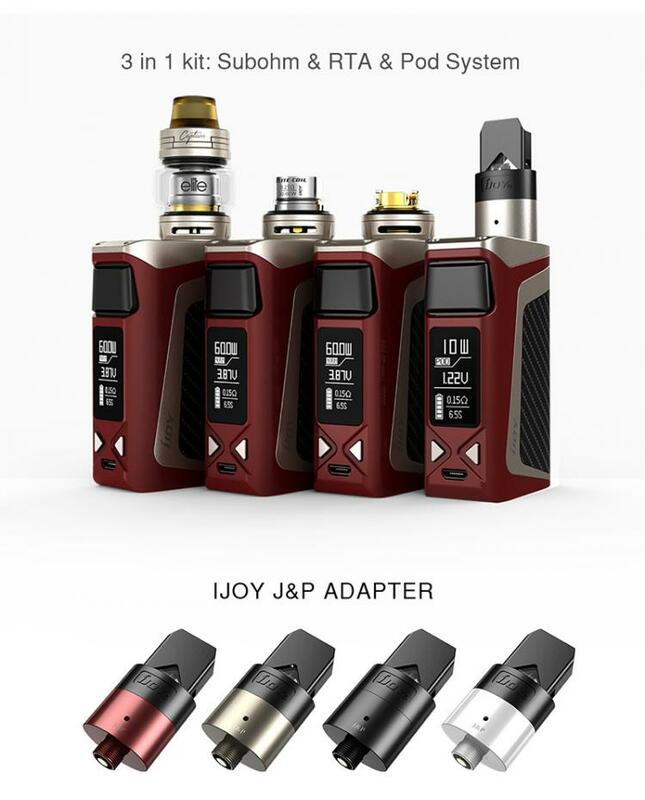 iJoy elite mini 60w 3in1 vape kit, which is evolution based on ijoy RDTA box mini platform, sub ohm, RTA and Pod 3in1 system adopted.which is sleek, portable and compact vape kit.the new ijoy vape kit have 10 fashionable colors available, include ijoy box mini mod and elite tank. 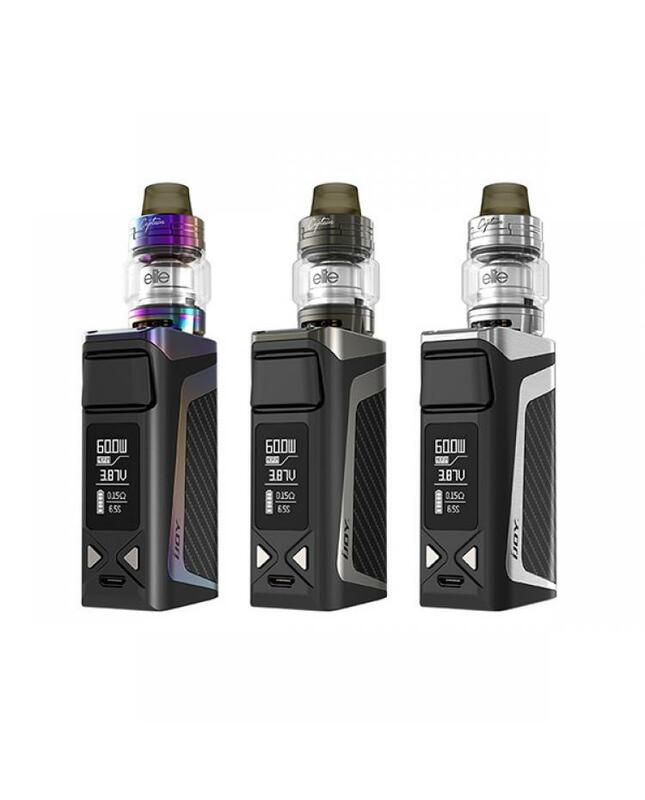 the ijoy box mini mod built-in 2200mah battery and max output 60watts, the 510 spring loaded connector compatible with the large tank and no overhang. 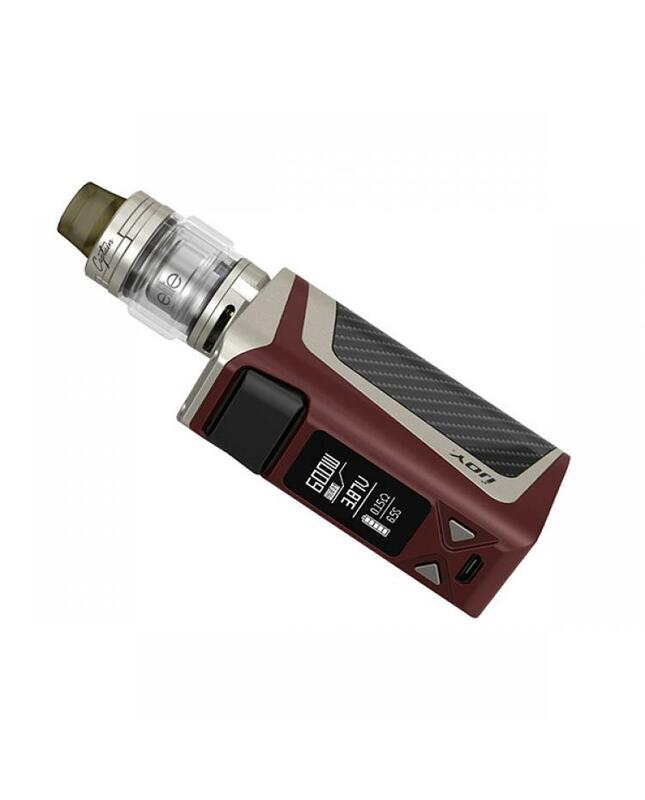 the side big size fire button allow vapers to finish the operation more simply. 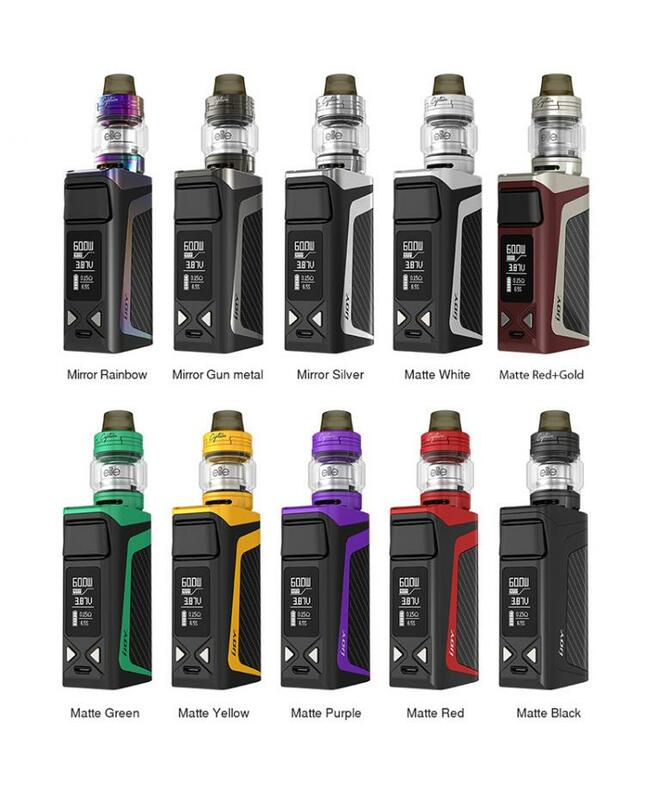 the captain elite tank can hold 2ml e-juice, after installing the extra bubble glass tank will enlarge the capacity to 3ml. the push to open sliding top refill system allows vapers to inject e juice quickly and no leakage. the captain elite tank built-in gold-plated building deck with bottom sides airflow slots, pre-installed the elite 0.25ohm coil heads, will deliver vapers the pure original flavor. 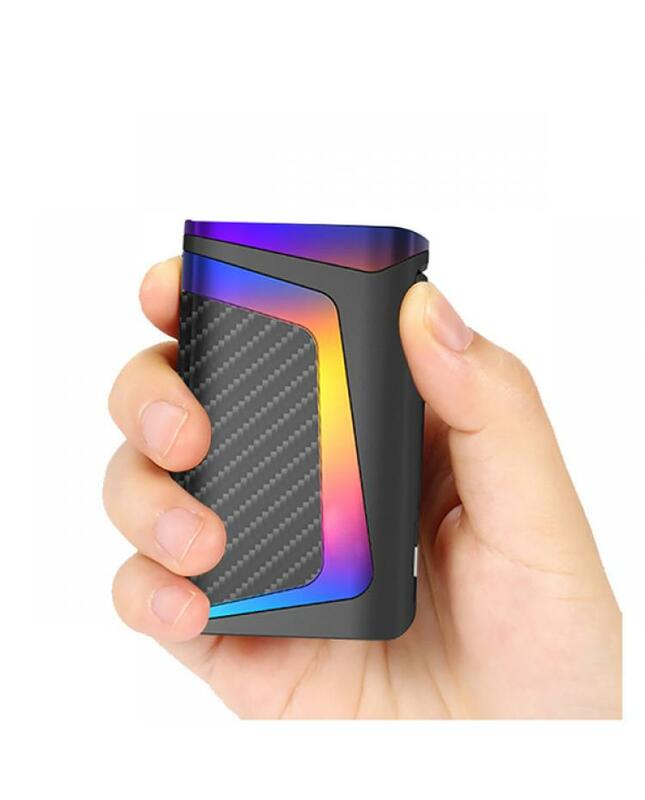 the packing includes the J&P pod adapter, which is an adapter allows use the pod on the elite mini tank, it will compatible with Juul and Phix pods.